I have some really unique finds to suggest this month. I hope you like them as much as I did. This definitely qualifies as unique! When I was first approached by Beetology to test out their juices and make cocktails, I was a bit apprehensive. I love beets, but couldn’t imagine drinking them. Even borsht, a well-known Russian soup my father loved, was not my thing. I took the case of Beetology to my favorite bartender, Lionel, along with the recipes I was given. It was a cold night so there were just a half-dozen of us there. 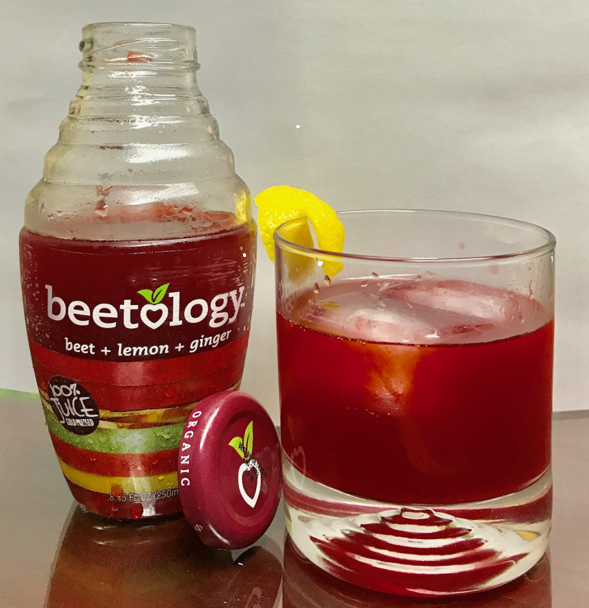 We did some experimenting with the juices, making the Beety Bloody Mary, Tropical Beet-a-colada, Berry-Beet-a-rita, Bourbon Beet-It, and the Beetology Zinger. 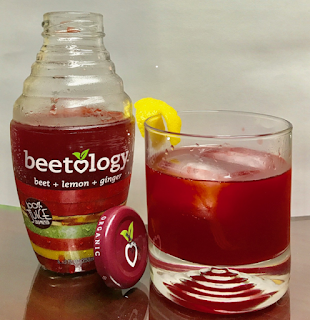 A couple people liked the Berry-Beet-a-rita and Beetology Zinger, but we couldn’t say we’d go out of our way to make them again. That’s the bad news. The good news is that we all LOVED the juices on their own. They are very healthy, 100% natural juice with no added sugar, and only 90-100 calories. ger, Beet + Cherry (the favorite), Beet + Berry (a close second), and Beetology Beet + Tropical Fruit. I had some delicious wines when I was in Israel, so I was more than willing to try some more. Here are two I really enjoyed. I actually have two more to taste, but I’m running a bit behind here so look for more next month. Galil Mountain Winery, in the Upper Galilee mountains, has a Sauvignon Blanc that is ideal. It’s light and very citrusy, easy drinking with or without food. As for red, the Hermon Red from Golan Heights Winery is filled with fruit and semi-dry. At just $12, it’s a bargain you should have on hand. If you are looking for a deliciously appropriate Valentine’s Day gift to send, checkout the offerings from one of my favorite resorts, the American Club at Kohler. This Valentine’s Day they not only have their luscious chocolates, but they are also selling a sweet libation: Dark Chocolate Brandy. You can purchase chocolates online if you can’t make the trip to Kohler, Wisconsin, and find locations for the brandy here.